One bedroom unit in Oak Terrace. Freshly painted and new carpets throughout! The kitchen has a newer refrigerator, dishwasher and garbage disposal. Comfortable living area, dining area and a spacious bedroom with two extra large closets. There is laundry in the building. The Oak Terrace complex offers many amenities, including an outdoor pool, exercise room, sauna and social room for residents' use. Professional on-site management. Common off-street parking available. Location is an easy commute, just minutes from the Mass Pike and 495 or just down the road to Framingham State University or great shopping and restaurants at The Natick Collection. The unit faces the interior of the complex so road noise is never an issue Additional storage space in the basement.. All with a low condo fee! 1323 Worcester Rd. 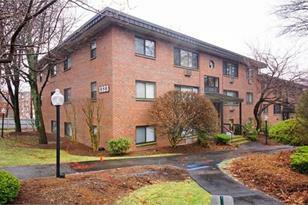 #F7, Framingham, MA 01701 (MLS# 71972666) is a Condo property that was sold at $170,000 on May 23, 2016. Want to learn more about 1323 Worcester Rd. #F7? Do you have questions about finding other Condo real estate for sale in Framingham? You can browse all Framingham real estate or contact a Coldwell Banker agent to request more information.